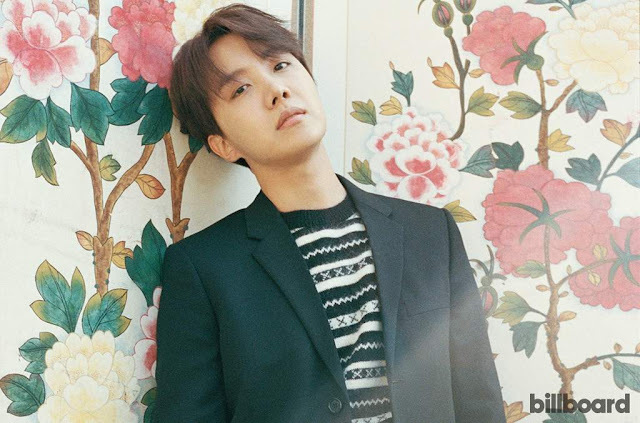 Jung Ho-seok, otherwise known as J-Hope from the BTS band, has made a flying start to his solo debut, as the Emerging Artists Chart sees him at No. 3. A major contribution to this debut is his first EP, ‘Hope World’ that is No. 63 on the Billboard Hot 100 Chart. According to Nielsen Music, the song logged 9,000 equivalent album units in the week that ended on March the 1st. This is also the highest position ever for a K-pop artist on the Billboard 200 in a solo effort. The artist is also involved in the highest rank for any K-pop act with ‘Love Yourself: Her’, as the song was No. 7 on the week ending Oct 7th last year. The World Album chart based on sales, sees his album at the top of the ladder at No. 1. Much of this is owed to a tremendous week for ‘Hope World’, as the song sees 8000 traditional albums sold. J-Hope currently has three songs in the World Digital Song Sales, with ‘Daydream’ at No. 3 leading the way for him. The Emerging Artists Chart uses the same methodology as the Billboard Artist 100, with multiple Billboard charts being used to determined the order of the artists. These charts include the Social 50, the Billboard 100 and the Billboard 200. The difference between the calculation, however, is that artists who have managed at least two tracks in the top 10 of the Billboard ‘Hot’ song genre charts, or the ‘Top’ album genre rankings based on consumption, are excluded. Neither included are any of the Top 25 acts of the Billboard Hot 100 or the Billboard 200. RM, also known by his real name Kim Nam-joon, was the previous artist from BTS to be included in the Emerging Artists Chart, with J-Hope becoming the second to achieve that feat. RM achieved it with ‘Champion’, a song in which he featured in alongside Fall Out Boy, as it debuted at No. 46 on January the 3rd. Leading the Emerging Artists chart for the second week is Rich the Kid, with his single ‘New Freezer’, that featured Kendrick Lamar. The song has also jumped up four places this week, from 46th to land at 42nd in the Billboard Hot 100. The song also maintains its position at No. 22 on the Hot R&B/Hip-Hop Songs chart. Not only that but Rich also has his single ‘Plug Walk’ jumping to No. 55 from No. 69 on the Hot 100. ‘New Freezer’ witnessed a 4 percent increase in digital downloads with 5000 this week, a 4 percent increase in the U.S. streams as well, with 13.2 million units. It also oversaw radio audience impressions of 18.2 million, an increase of 20 percent from last week. Other changes in the top 5 of the Emerging Artists are Devin Dawson who jumped from 3rd to 2nd, Jordon Davis at 4th from 8th and Walker Hayes down to 5th from 2nd. Also moving up is Black Youngsta, who climbed up to 6th from 29th as he made his Hot 100 debut at No. 81 with ‘Booty’.